‘Who are you going to see again?’ my 10yr old asks. When I go to concerts I love watching the audience. They are mostly made up of very self-conscious people, like me, and maybe that’s partly why the artist appeals. We know we wouldn’t get away with making a spectacle of ourselves like that. Would we? Towards the end of the concert, I noticed a woman in the disabled area, dancing. There were lots of people dancing, but she was taking up a lot of space- twirling around and giving it the full Kate-Bush-shapes. She was so lovely that I watched her instead of Nick for the whole song. Both of them, fearless in themselves. 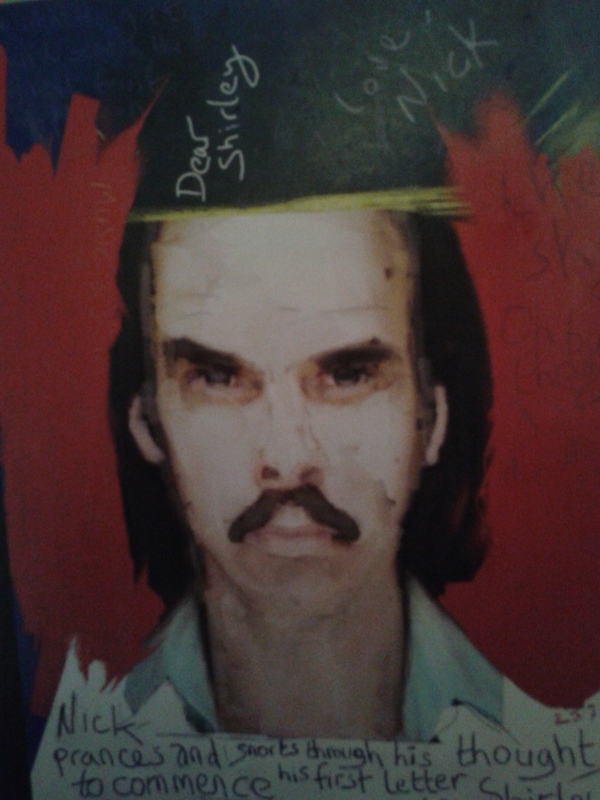 This is part of why I love Nick Cave. One of my friend Peterson‘s characters says that there is nothing so beautiful as a person who is unafraid to simply be themselves. I think that for those fans of Nick who struggle with self-consciousness, Nick Cave offers us the possibility of courage, and we can see how lovely it is. In my writing, and my life, I am reaching for that.